Canada Hair Reviews – Let’s review Canada Hair Extensions! Working as a professional hair stylist, I developed a passion for hair extensions. Exploring my passion and taking it further, I decided to become a certified professional in installing hair extensions. Since then, I’ve dealt with many different types of hair extensions of various brands, which is why I decided to review them! 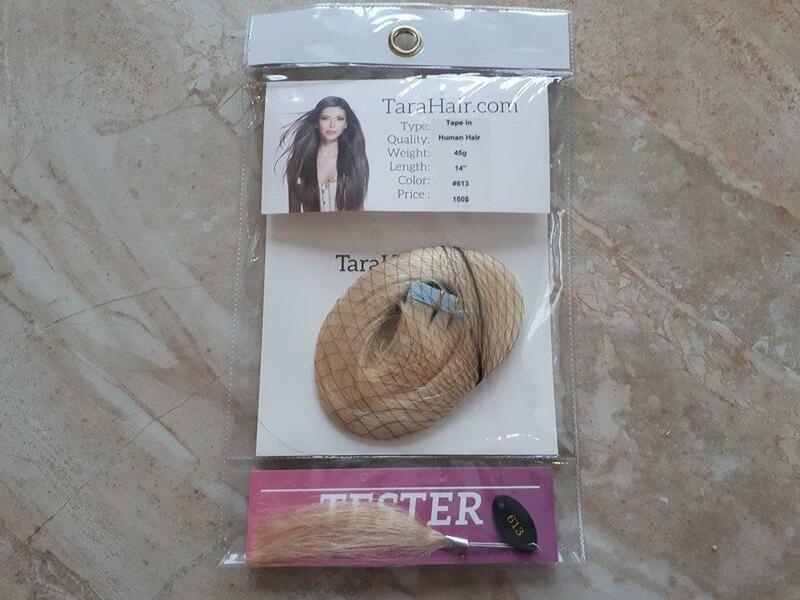 Today, I will be reviewing Canada Hair tape-in hair extensions that I purchased from CanadaHair.ca. Canada Hair is a Canadian hair extensions company that sells different types of hair extensions. They have a pretty impressive online store where you’ll find a lot of variety. One thing that really attracted me to Canada Hair was their affordability. 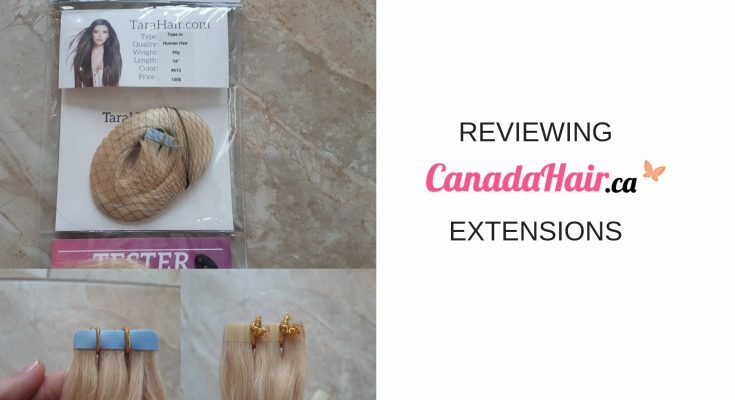 Compared to other hair extension companies, the rates of Canada Hair extensions were pretty low and their hair extensions reviews were also mostly positive. Keep reading to find out if the quality of their hair extensions was worth it or not! Their website was pretty user-friendly because everything was organized and arranged into different sections, which made it very easy for me to find the type of hair extensions I wanted. 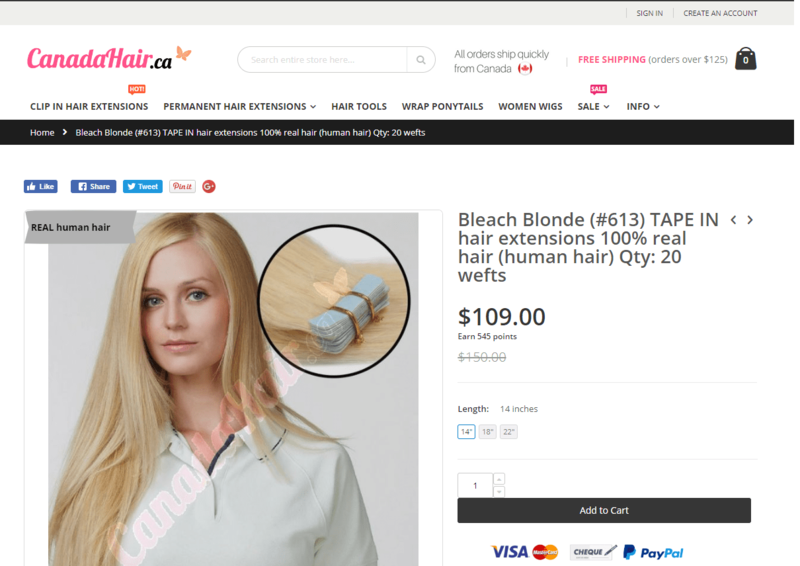 Keeping in mind the positive reviews associated with Canada Hair and their affordability, I decided to buy 4 sets of hair extensions in the bleach blonde color. This color is the most dangerous one to order because usually, to obtain this color, the hair is bleached and this greatly damages the hair extensions. Therefore, in order to truly test their hair quality, I decided to order this hair color. There were various lengths available on their website, but I chose the 18-inches length. Like I said before, the website was very user-friendly, which meant that paying for the product was also pretty easy and hassle-free. I’ve actually faced issues in the payment method also on various other websites, which is pretty annoying, to be honest. In view of this fact, a hassle-free payment method was actually a blessing. My product arrived pretty quickly! This was another relief because I hate waiting too long for my order to arrive. It brings down my enthusiasm and I get tired of waiting! Another interesting and impressive fact is that the order came with instructions on how to install the tape-in hair extensions, which is pretty rare. Usually, companies just send you the hair extensions in a packet with no instructions whatsoever. For professionals like me, this doesn’t really matter but if you’re applying for hair extensions at home, then this actually matters. The cherry on top, Canada Hair also sent me a gift along with my order, which was pretty considerate of them. I wasn’t expecting it! This shows that they really care about their customer satisfaction and will go to great lengths to make sure of it. However, the most important thing is the actual quality of the product purchased! It doesn’t matter if the website is nice and shipping is quick if at the end of the day, the product isn’t great. When it comes to hair extensions, the hair quality is the most important point in determining whether the extensions are worth it or not. In fact, I’d even settle for greater money if I’m receiving better hair quality. However, unfortunately, here in the hair extensions market, buying expensive hair extensions doesn’t necessarily mean that you’re getting higher quality. I’ve had the worst experiences in this regard because the most expensive hair extensions that I bought turned out to be of the worst quality. Therefore, whenever you’re purchasing hair extensions, don’t think that the expensive ones are of high quality and vice versa. This is extremely frustrating because this just means that there’s no proper way of knowing the hair quality of a brand before you purchase them. Pictures cannot tell anything about the hair quality of extensions, even though the hair quality is the one factor that cannot be compromised on. I’d actually buy more expensive hair extensions if their quality was better because in the long run, the high-quality hair extensions last much longer and this actually saves you money because you don’t have to replace them as often. Therefore, you shouldn’t see the prices of brands as a reflection of their hair quality. So, what other way is there of finding at least a tiny bit about the quality of hair extensions before purchasing them? Well, the only solution is to read real online reviews of the products. Notice how I’ve said ‘real’ online reviews. Unfortunately, we live in a world where reviews are influenced by monetary benefits and other such benefits of bloggers. You will see that a lot of YouTube bloggers post fake reviews about products just to increase the sales of the company being reviews. The company, in turn, gives the bloggers some sort of commission. This is obvious by the fact that at the end of the video, the bloggers have discount codes of their own names for that specific company. This is how you can differentiate between a real review and a fake review. You can find truly honest reviews on Facebook, Google, BBB, and honest independent review blogs like this one. Once you start reading reviews, you’ll notice that it’s actually pretty easy to differentiate between a real review and a fake review. Coming back to Canada Hair, I did my homework before purchasing their products. They had positive reviews almost everywhere and all of their real reviews pointed towards the fact that they’re a perfect blend of quality and affordability! You’ll find many comparisons on the internet in which people have compared the quality of Canada Hair extensions to those of other high-end brands, and most of them agree that Canada Hair provides much higher quality hair extensions for a much lower price. I’m not saying that brands offering better hair quality don’t exist. They do, but the price they ask for is way more than their hair quality is worth. In fact, ironically, Canada Hair extensions are the most inexpensive hair extensions I’ve ever purchased and they turned out to be so great! I can vouch for all the positive reviews out there. Like I’ve said before, Canada Hair provided me with instruction on how to install the tape-in hair extensions. I went through them to make sure there was nothing out of the ordinary. After that, I started to apply for the tape-in hair extensions on my client’s hair. Removing the tapes was very easy and hassle-free, which made application a lot easier and reduced the application time. Fortunately, the tape-in hair extensions stuck pretty well on my client’s hair. I used a bit of extra super white glue on the tapes so that they would hold on even more firmly to the extensions. To conclude, the tape-in hair extensions were particularly very easy to install and I faced no issue regarding this matter. The most common complaint of tape-in hair extensions by clients is that the extensions start to fall off and slide away. The most common reason for this is that the clients either install the hair extensions incorrectly themselves or get it installed by a hairdresser who wasn’t certified in installing hair extensions. Remember, installing hair extensions, especially the tape-in hair extensions, is no easy task. It takes a lot of experience and training to reach the stage where you know exactly how to install tape-in hair extensions in different types of hair. This is something that only experience and training can give you. Therefore, you need to refrain from installing tape-in hair extensions at home. It may save you money in the long run but if the tape-in hair extensions start to slip out, which is very common, then you’ll eventually have to go to a hairdresser anyway. Hence, it’s better to go to a certified hairdresser that has experience and training in installing tape-in hair extensions. Only after you get the installation process done by a certified professional will you be able to reap the benefits of the hair extensions! 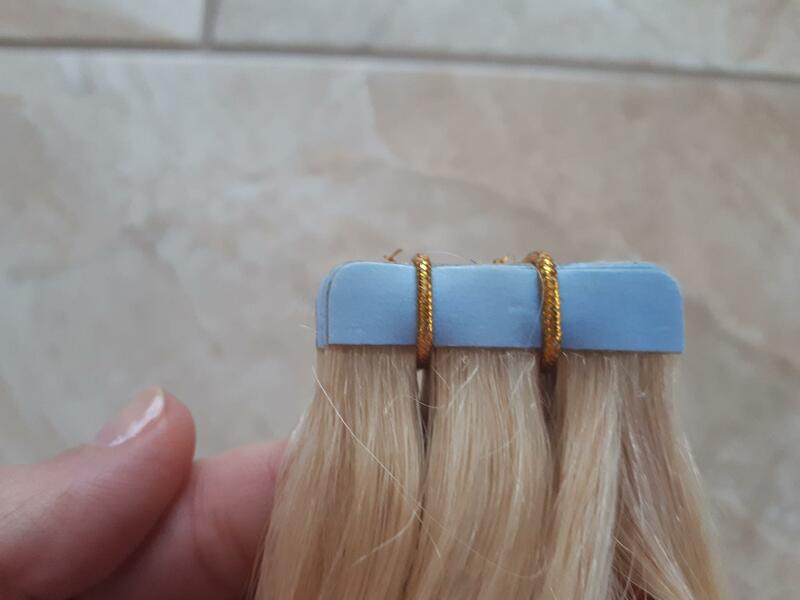 If you’re a hairdresser, then please be very careful while installing tape-in hair extensions and only install them if you’ve been properly trained. It’s very important to follow all the steps in the particular order they’re supposed to be followed. If you fail to do that, your clients will never come back to you and all you’ll get is negative reviews! Therefore, sign up for tape-in hair extensions only if you have experience and training in this particular field. I’m emphasizing on this point because I’ve received many clients whose tape-in hair extensions were slipping out due to incorrect installation by their previous hairdressers! Avoid putting too much or too little hair between bonds. Putting too much hair can cause the tape-in hair extensions to slip away and putting too little hair can make them pull on the hair, which may damage the natural hair. You must perform the clarifying step three times! Doing it two times may cause the tape-in hair extensions to slip out. Avoid putting hair extensions on clients who have had chemical treatments the same day. Instead, give them an appointment of a few days later. Chemical treatments include streaking, highlighting, dyeing and many other such treatments. Applying for tape-in hair extensions the same day on which these treatments are done is a recipe for disaster. This is a very common reason for the slippage of tape-in hair extensions. If your client has naturally oily hair, then they have z higher tendency of the hair extensions slipping away. This is because the adhesive on the tape-in hair extensions doesn’t stick well to oily hair. Furthermore, the oil produced by the scalp interferes with the bond between the hair and the tapes of the tape-in hair extensions. This can cause the tape-in hair extensions to slip away. times each week to avoid the production and accumulation of excessive oil. Also, you should warn such clients that their tape-in extensions need to be installed once every 4-6 weeks! Informing them ahead of time saves a lot of trouble and stress for both you and the client to be honest and upfront about it. Otherwise, they’ll think negatively of you. These were just a few of the many reasons that could cause tape-in hair extensions to slip away. There are many more reasons out there. My point in telling this was to tell you to make sure that whenever you install tape-in hair extensions, please follow all the steps carefully and make sure you actually know what you’re doing. To conclude, the tape-in hair extensions provided to me by Canada Hair were of very high quality! 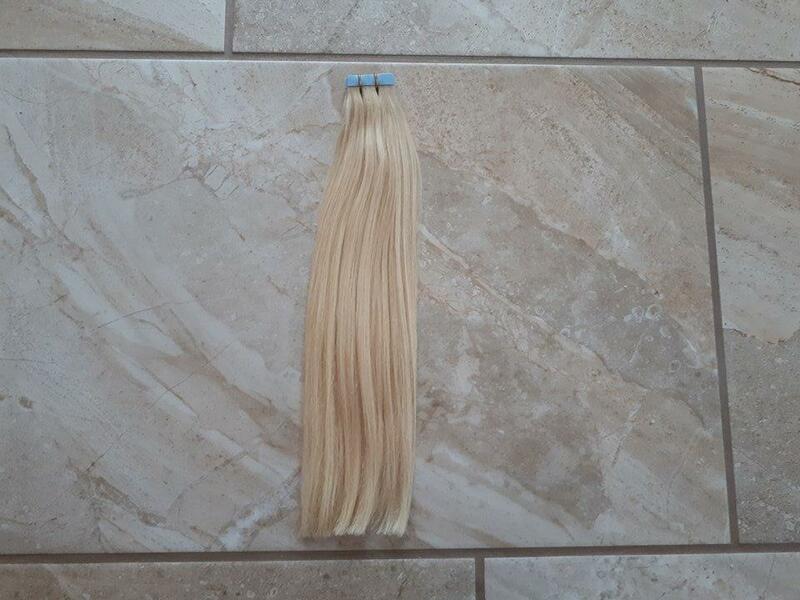 You cannot find such high-quality hair extensions in the same rate that Canada Hair is selling them. 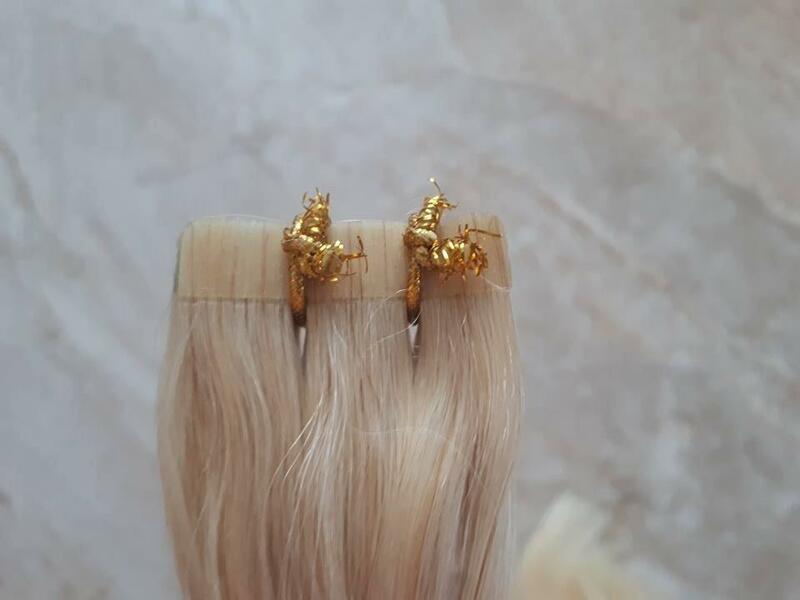 I ordered the blonde color, which usually comes in poor quality because of excessive bleaching damage, but I was pretty satisfied, in fact, impressed, by the hair quality! I’d totally recommend purchasing tape-in hair extensions from Canada Hair. I’m sure that the other types of hair extensions they have are of very high quality too! Not only is their quality impressive but their quick delivery, reasonable rates, and customer service are also pretty great too! Cindy is a professional hair extensions reviewer and a certified hair extension technician. She regularly review hair companies so that potential buyers can be better informed.